When was the last time you spent money with Groupon, the United States’ most popular social coupons merchant? Unless you’re an extremely disciplined consumer, or you just don’t shop online very much, it probably hasn’t been too long. Groupon has long since outgrown its roots as a scrappy daily deals provider. In addition to classic Groupons, those deeply discounted merchant vouchers we all know and love, Groupon now sells merchandise directly (Groupon Goods), offers formidable travel deals (Groupon Getaways and Market Picks), and purveys hard-to-get tickets to concerts and other live events (GrouponLive). In My Experience: The traditional Groupon voucher is my favorite way to save money at restaurants I’d eat at anyway. I trim my dining-out budget by at least $100 every year with Groupons alone. The short answer is yes, most Groupon products expire at some point. GrouponLive purchases are final after the day of purchase, absent an extraordinary event, such as a natural disaster. Groupon Getaways and Market Picks are usually valid only within a predetermined travel window, after which their promotional value disappears and the offering merchant(s) are responsible for processing face-value redemptions. Groupon merchant vouchers can expire as little as 30 days after they’re offered, though they never completely lose their value. Pro Tip: Groupon’s Terms of Sale outlines its expiration, refund, return, and related policies in remarkably clear, concise English. If you’re curious about the expiration terms on a specific Groupon product, check it out before contacting their customer service team. Most regular Groupon buyers let the occasional deal slip through their fingers. I’ve purchased more than a dozen Groupons in my time, and I’m all too familiar with the sinking feeling that accompanies the cold realization that one’s Groupon has expired unused. Allowing a traditional Groupon voucher or travel purchase to expire unused isn’t the end of the world – but you already knew that. If you’re lucky, you might be able to recover the full promotional and face value of your expired Groupon. Even if things don’t break your way, you likely won’t suffer a total loss. Know Before You Buy: A traditional Groupon merchant voucher’s value has two component parts: face value and promotional value. The face value is the amount you pay for the voucher – say, $30. The promotional value is the value of the discount to which the voucher entitles you – $25, maybe. The voucher’s total value is the sum of these two values – in this case, $55. These eight strategies can help you recoup your investment on your expired (or about-to-expire) Groupon purchases. Some apply only to certain Groupon products like traditional vouchers or travel purchases, while others are universal. All are good for your wallet. The most straightforward way to extend the full value of your Groupon product beyond its expiration date is simply to ask the issuing merchant to do you a solid and waive the stated expiration date. In most cases, they have full discretion (but no obligation) to do so under Groupon’s Terms of Sale. If they’re really feeling generous, or perhaps just eager for the business, they might extend the date indefinitely without any cut to full value. If you paid $50 for a Groupon that entitles you to $50 off a $100 massage, you’ll still get that massage at half-price. If the merchant isn’t feeling so generous, they might want to compromise. Maybe they’ll nick that $50 discount down to $25. Hey, that’s still 25% off a $100 massage. Or perhaps they’ll let you redeem your Groupon’s face value without meeting the required spending threshold – a budget-friendly gesture that takes you that much closer to your next Groupon purchase. For Groupon purchases other than traditional vouchers, these compromises will look different. For instance, a travel merchant that agrees to extend your booking or redemption deadline might impose blackout dates during peak travel times. If they intentionally scheduled the promotion to expire the weekend before Memorial Day weekend because they knew they’d have no trouble filling rooms at that time, they’ll likely exclude the Thursday-through-Monday Memorial Day period from your two-week extension. Pro Tip: You’re less likely to convince a travel merchant to budge on the terms of a Groupon Getaways or Market Pick deal than you are to convince a restaurant manager to extend your redemption deadline by a week or two. For this reason, Groupon highly recommends (and I wholeheartedly second) buying travel insurance on any airfare, hotel, or cruise purchases you book through Groupon. If the unexpected happens and you’re unable to journey during the proscribed period, you’ll recoup much (though probably not all) of your nonrefundable travel expenses. If the issuing merchant’s representative refuses to honor part or all of the promotional value on your Groupon voucher or deal, be persistent. Politely but firmly ask to speak with a manager or owner, and don’t give way until you do. In the age of Yelp and Facebook, ordinary customers have extraordinary leverage. While you should never lose sight of the fact that you wouldn’t be in this situation had you kept on top of your Groupon product’s expiration date, you’re absolutely within your rights to remind your interlocutor that one good turn deserves another – and vice versa. In my experience, merchants see little value in going toe-to-toe with indignant customers, even those they perceive as acting unreasonably. (I worked in the service industry for a long time. I know an unreasonable customer when I see one.) As long as you hold your ground and make a coherent case for why the merchant should take your side, or at least meet you halfway, you’ll probably reach an amicable conclusion. If the merchant refuses to budge, get Groupon involved. Legally, Groupon’s customer support team can’t compel a merchant to honor the promotional value of a voucher after its stated expiration date or extend a travel booking or redemption deadline beyond the allotted window. However, they can and will compel merchants to honor the face value of an expired voucher or deal, no matter how old. Groupon’s customer support folks have been known to go farther. Depending on the circumstances, they may try to persuade the issuing merchant to honor your expired voucher or deal, or come to some other arrangement. The “goodwill is good for business” argument goes a long way. For merchants eager to attract new and returning customers, so does staying in Groupon’s good graces. Under the terms of Groupon’s Trade-In Program, you can trade in certain Groupon vouchers for Groupon Bucks up to two weeks after they expire. Groupon Bucks are Groupon’s in-house currency. One Buck is worth $1 against future Groupon voucher purchases. When you trade in an expired voucher, your Groupon Bucks payment is equal to the amount you originally paid for the traded-in voucher – the voucher’s face value. You have 24 hours to use them to purchase a new voucher or vouchers. If you don’t make any purchases with your Groupon Bucks within 24 hours, you forfeit your Bucks and the face value of your expired voucher is restored. Remember, that face value won’t expire under ordinary circumstances. If you redeem part of your Groupon Bucks balance, but not all, you’ll retain the remainder of your balance indefinitely to redeem at your leisure. Your original voucher will become worthless. This is one of the few times a traditional Groupon voucher can lose its face value. Pro Tip: This isn’t an exhaustive recounting of the terms and conditions of the Groupon Trade-In Program and Groupon Bucks. Before executing your trade, read the fine print on both (links above). Groupon’s refund policy varies by product type. 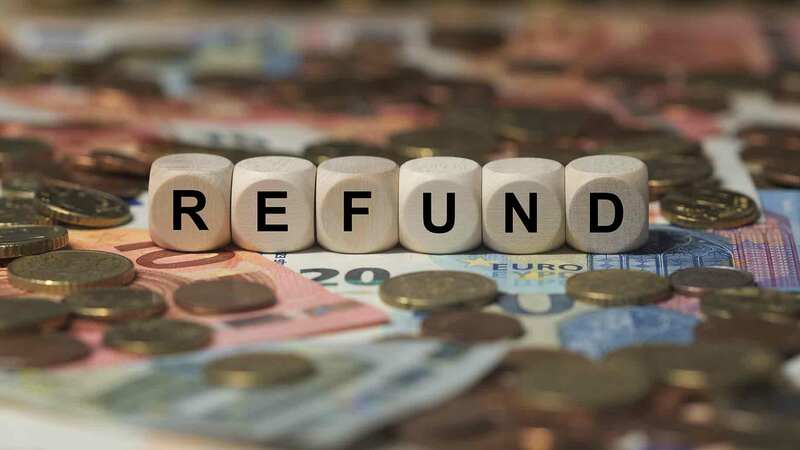 According to the Groupon Promise, the plain-English version of its return policy, refund terms are actually pretty strict for traditional vouchers: Once three days elapse after purchase, all sales are final. This isn’t always the case in practice. If you can demonstrate that your deal expired unused due to a problem on the issuing merchant’s end, Groupon may think it easier to eat the loss itself and credit your account with dollars or Groupon Bucks. This isn’t uncommon with low-volume service providers, such as spas and cleaning services temporarily overwhelmed by Groupon-induced demand. Groupon Getaways’s return policies are more lenient. Getaways that require you to book within a preset window are refund-eligible when the merchant is unable to honor your booking request during the active window. In other words, if a Getaways deal expires unbooked because the issuing merchant can’t accommodate you on your preferred stay dates, you’re off the hook. There’s a thriving market for unwanted gift cards, coupon codes, and social coupons – including traditional Groupon vouchers. Depending on the nature of your Groupon product and the marketplace you select, you could recoup much – perhaps nearly all – of the product’s face value. The catch: You need to offload your Groupon before it expires. Once the expiration date passes and the promotional value disappears, your product’s value will plummet and there’ll be no point in trying to sell it. If you need to get rid of traditional Groupon vouchers, check out coupon resale sites like CoupRecoup, CoupFlip, and Swap.com. These sites generally ask sellers to accept substantial discounts to face value, so they’re only appropriate for those certain that they won’t have the opportunity to redeem in time. Voucher-holders who even think there’s a chance they’ll redeem before expiration should hold out. If you’re holding unwanted Groupon merchandise past the refund window, consider selling it on eBay, Amazon, or another reputable resale site. Sought-after items command premiums on these sites. 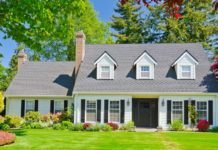 With a compelling listing and a little luck, you could actually turn a profit on your impulsive purchase. You Might Also Like: Want to earn side income selling stuff on eBay? Check out our list of 10 eBay selling tips to maximize your profits – they’re not rocket science. In rare cases, live performances and events booked through GrouponLive are refund-eligible after the day of purchase. GrouponLive’s Extraordinary Event Policy spells out when you can expect to get your money back for a show gone awry. Basically, you’re on solidest ground when an event is cancelled and not rescheduled – for instance, the headline performer becomes seriously ill and needs to cancel the remaining dates on a world tour, or travel troubles force the tour to skip your venue. If all else fails, wave goodbye to your Groupon’s promotional value, accept the loss, and move on. Traditional Groupon vouchers’ promotional values rarely exceed 70% of their total value. To be sure, it’s a real shame to lose out on a 70% discount, but it’s not like you’ve already spent that money. When the time comes to redeem your expired Groupon, spend just the bare minimum required to trigger the deal (or negotiate with the merchant to reduce your spending requirement further) and exit the situation with minimal damage to your discretionary budget. If nothing else, the ordeal of paying full price for a product, service, or experience you thought you’d get for much less will teach you to more closely watch your Groupon deals’ expiration dates. Pro Tip: Under no circumstances should you accept less than your traditional Groupon voucher’s face value from the issuing merchant. 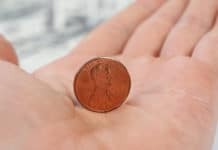 It’s not uncommon for merchants to try to nickel-and-dime hapless consumers with penalty fees and the like. Groupon frowns upon this behavior and will intervene on your behalf if you bring an incident to their attention in a timely fashion. I’m a seasoned Groupon user. Though I’m proud that I’ve let only two promotions expire in the six or seven years since I purchased my first social coupon, I’ve probably bought half a dozen Groupons that I really didn’t need. Were it not for the too-good-to-be-true Groupon offer, I’d likely never have patronized the participating merchants. All else equal, my bank account would be $200 or $300 bigger right now. I’ve gotten better at resisting Groupon’s temptations. It’s been at least 18 months since I last allowed a Groupon to expire. If you’re not quite there yet, or if you find yourself going to torturous lengths to redeem (or simply to find time to redeem) Groupons that you probably shouldn’t have purchased in the first place, maybe it’s time to take a self-enforced break from the app. Absence makes the heart grow fonder – and it’ll give your wallet time to recuperate anyway.